The cover for our fall 2018 free issue. For several years now, we have been laying the foundation for a quarterly journal. First, we began publishing a free magazine that simply bore the name of our parent company—The CiRCE magazine. We published a few reviews. A couple of essays. It was a good start. The magazine grew, but readers wanted more. So after a few years, we shifted that magazine to the name, FORMA, a title we've had in our sights for many years. We expanded the length, re-designed the layout and the covers, and began assembling a team of editors. It was the next step. Now, today, we're excited to announce that that little magazine without a title has officially grown up. 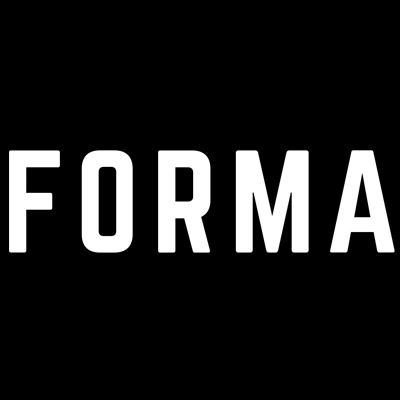 Not only does it have it's name, but FORMA is going quarterly. Every three months we will be publishing an issue of FORMA, each of which will offer classical thought for (and on) contemporary culture. We will be producing more and more of the kinds of contemplative reviews, interviews, and essays that you've come to associate with the magazine and with CiRCE in general. And you can get access to this quarterly for just $4/month—the price of one Pumpkin Spice Latte (and let's face it: priorities, right?). That subscription will give you access not just to those four issues, but also to our subscribers-only weekly email digest, featuring bonus essays, interviews, and reviews, as well as access to the digital editions of every issue, including the archives. Of course, we know that we built this magazine by providing a free annual issue and that won't change. Each November, we will send out one free issue that features a curated selection of content from that year's issues, as well as the FORMA website. So if you're not ready to subscribe, it's okay. We understand. There's still some content for you. If you have already signed up for our free issue you don't need to do anything. If you want to sign up now click here. And if you subscribe to the journal, you'll get this curated free issue as part of your subscription, as well. So that's five issues of the journal, access to the digital archives, plus a weekly email issue for just $4/month. We're grateful to have so many insightful, dedicated, and thoughtful readers. Thank you for being among them. Be on the lookout for your next issue. We're hard at work on it right now.